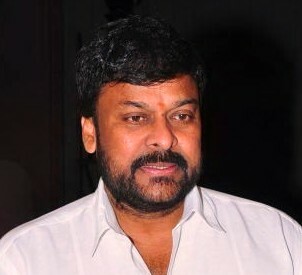 PRP President, Tirupathi MLA Chiranjeevi visited Tirupathi today to attend few official programs. Speaking to the media he said, do not bother about the KCR statements as he does not know how to talk and also speaks irrelevant news at the times. Praja Rajyam Party president Chiranjeevi, who has been going soft on the Congress for the last few months, has started attacking the party these days.He is using harsh words against the Rosaiah government, saying it is the worst government the State had ever witnessed, as it failed to address the problems of the people. On Sunday, while touring his Tirupati constituency, Chiranjeevi came down heavily on the Congress MPs for failing to take up the people’s issues with the Centre. “I don’t understand what these MPs are doing in Delhi. They are more interested in lobbying for their personal interests and party tickets in future. They never lobby on securing funds for the projects in the state. I am prepared for any debate on this subject,” he challenged.